Combining the highest standard of dental care with the most innovative cosmetic techniques. In everyday conversations and encounters, some people never feel comfortable smiling. Likewise, when the cameras are readied, and the photographers say, “cheese!” the most they can offer is a timid half-grin, curtained by pursed lips. Embarrassed by their teeth, the twinkle in their eyes becomes squelched by their strained smile. These are some of the patients Dr. Steven Marsh eagerly welcomes to his dental practice, giving them a beaming smile that they never before dreamed possible. For patients like Josie who yearn to imagine the possibilities, Dr. Marsh uses a highly specialized and unique computer called an Imager. This leading technology allows him to show a patient his or her current smile enlarged on the computer screen, next to a projected image of what his or her smile could become. The computer even prints out a photo of the “before and after” images for the patient to keep and perhaps share with family members and friends. This personalized style of communication and treatment lends itself to all facets of Dr. Marsh’s patient care, from the small nuances, such as fresh flowers throughout the office, to early (7 a.m.) and lunchtime appointments to accommodate patients’ work schedules. Dr. Marsh points out that, most important, this philosophy of positive patient relationships helps patients feel comfortable making decisions about what’s best for the future of their dental health. 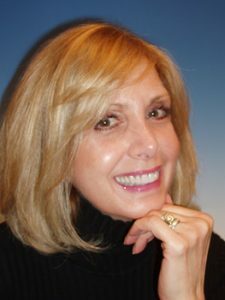 This tandem approach – advanced cosmetic techniques and excellent dental care for one’s lifetime – is apparent from the moment one enters Dr. Marsh’s reception area. One wall presents a group of photos of smiling children, patients who are learning the ABCs of a lifetime of high-quality dental care, while the other wall displays before-and-after photos reflecting Dr. Marsh’s cosmetic artistry.